How dumb, I thought. What am I doing when I’VE GOT WOOL? So I got out one of my first blankets. This is “Some Like it Hot.” It’s got great colors in it, but I was still learning the best sweaters to use, so it contains one (the orange) that I would no longer choose. Still. WHAT A DIFFERENCE. I immediately felt cozy and could read without distraction. • Wool fibers insulate without overheating. They are historically used in both the heat of the desert and the coldest arctic climes. • Many kinds of wool, especially Merino (because its shaft is so slender), are very smooth and extraordinary comfortable on skin. • Wool wicks moisture away from the body. • Wool fibers actually absorb water and move it temporarily into the core of the shaft, keeping the wearer warm and dry. It won’t feel wet to the touch until it has absorbed 60% of its weight in water. • Wool has antimicrobial properties, so it doesn’t harbor odors and stays smelling fresh — in fact, backpackers and bikers are returning to the use of wool, as synthetics cannot yet mimic this. 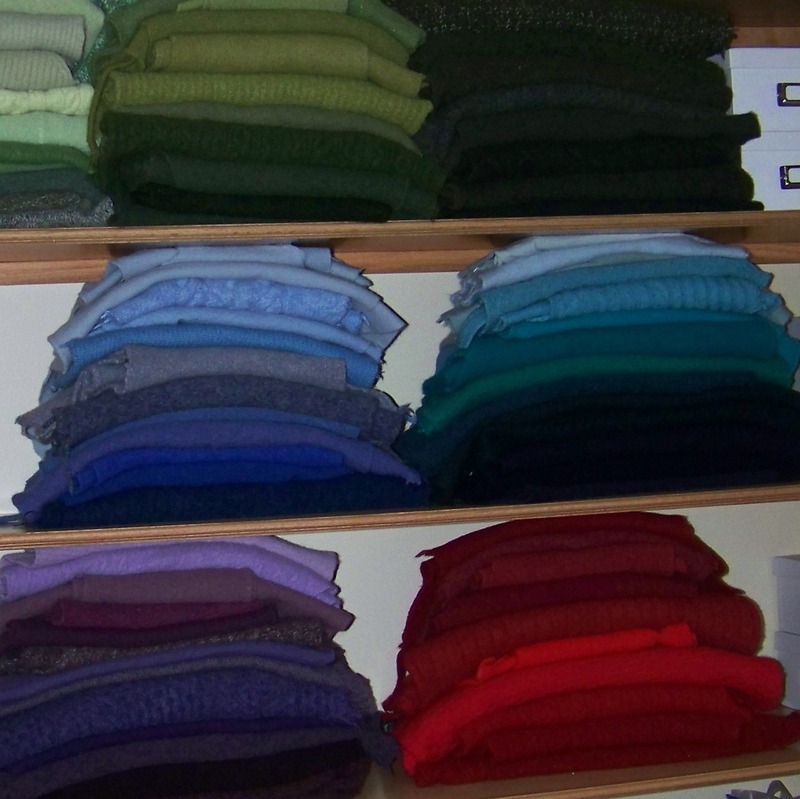 • Wool is disliked by dust mites, which are behind many allergies and asthma troubles. • Wool is long-lasting. Wool fibers can bend 20,000 times without breaking. Compare that to cotton at 3,000x and silk at 2,000x. • Buying wool supports raising sheep for their fleece rather than for food. Every year a new fleece grows on the sheep’s body and is removed without harm to the animal. • Buying wool supports local farmers throughout the world. 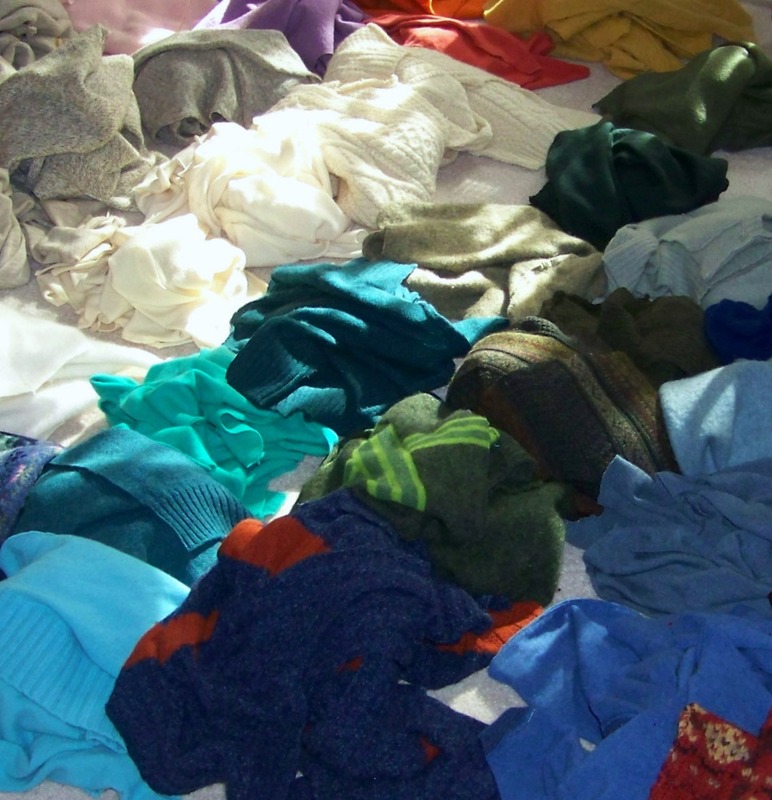 Also, processing wool requires fewer resources than those needed to process most other natural or man-made fibers. *With gratitude to the following websites for their informative content: Wool Revolution!, Zeilinger Wool Co., and Dennis Baxter’s article on Merino wool on ezinearticles.com. Joan, reading your post leaves me with a sense of refreshment … like taking a coffee break with you! Thanks for sharing your knowledge in such a welcoming way. Miss you! Funny you said that about the orange. I generally don’t like orange. 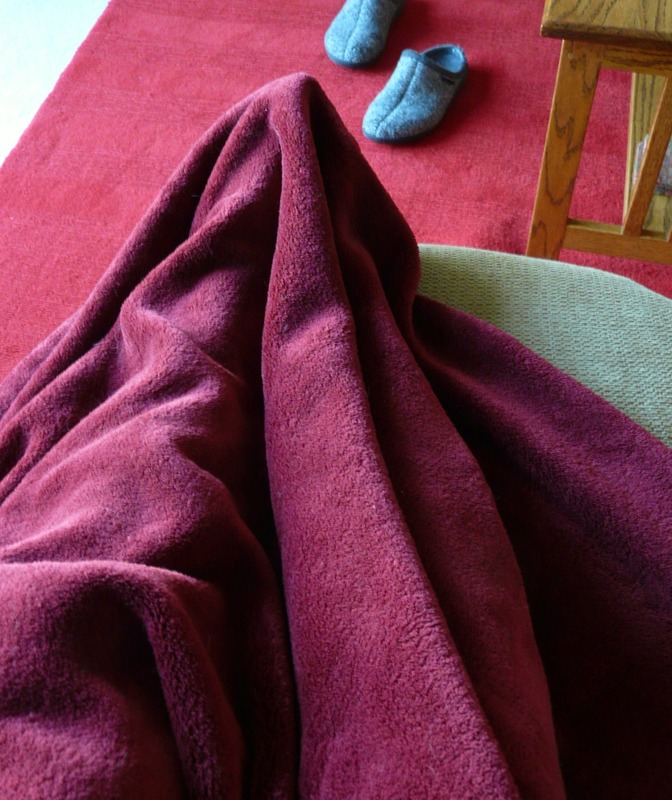 Looking at your blanket in the e-mail picture before reading the post,I was thinking that you made the orange work. Thank you for your posts and the look at your beautiful work. Thanks, Stephanie. 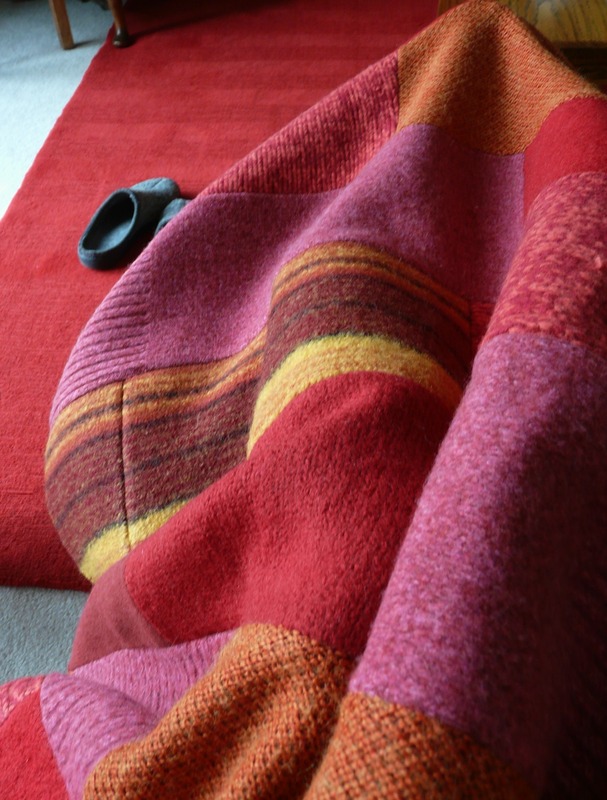 Orange can be an amazing addition sometimes, and I like its presence in this blanket. The problem was the QUALITY of the sweater: I think it had a low percentage of wool but I had decided to try it anyway. Thanks Joan!! Very cool :) P.S. I really love that you name all your creations! I love that part too! I just like to capture the character that emerges during the making of any given blanket. It embues them with a personality that will always stay with me even when they go to live with someone else :). Can’t wait to see the family! put together. How do you find time to do this ? Thanks for sending the Green Sheep to me. Hmmm. I think the answer is that I don’t cook and clean as often as I should!